In the devastating aftermath of a recent attack, New Zealand's prime minister, Jacinda Ardern, has captured the attention of the world with a remarkable show of leadership, writes Alet Janse van Rensburg. When US president George W Bush visited Ground Zero three days after the 9/11 attacks, he wasn't planning on making any speeches. He was there to thank and encourage first responders and get a sense of the scene first-hand. At the last minute, his staff decided it would be a good idea for him to make some remarks after all. Someone shoved a megaphone in his hand. Standing on a pile of rubble, he started to speak. Someone in the crowd shouted out that they couldn't hear the president. Bush shouted back: "I can hear you." When loud applause erupted, Bush seized the moment. "I can hear you!" he continued. "The rest of the world hears you! And the people – and the people who knocked these buildings down will hear all of us soon!" America launched itself into a "war on terror". It attacked the Taliban in Afghanistan for hiding Osama bin Laden and went in search of weapons of mass destruction in Iraq. To date, war in the Middle East has cost the US $5.9 trillion and hundreds of thousands of people have lost their lives in the process. Terrorism has by no means been defeated and Bush's presidency has been widely criticised for the brash and uninformed way it rushed into the war in its search for retribution for 9/11. This week the world watched with horror as a white supremacist mowed down 50 Muslims while they were praying in two mosques in Christchurch, New Zealand. In the devastating aftermath, New Zealand's prime minister, Jacinda Ardern, has captured the attention of the world with a remarkable show of leadership. "What has happened in Christchurch is an extraordinary act of unprecedented violence," she tweeted. "It has no place in New Zealand. Many of those affected will be members of our migrant communities – New Zealand is their home – they are us." It was a seminal moment, uniting all New Zealanders behind a community which in many other countries, would have been alienated. 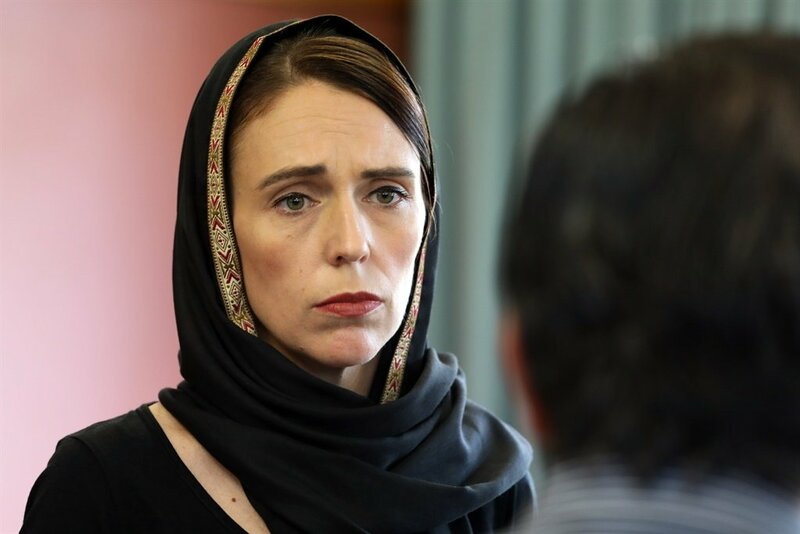 Ardern visited mosques and schools where she was seen consoling mourners for hours, wearing a head scarf out of respect for the Muslim community. As if they were following her lead, New Zealanders stood on street corners, crying together, consoling each other and laying down flowers. It was the behaviour of a leader who understands the power of empathy. Not once was Ardern's credibility and ability to deal firmly and decisively with the attack undermined by her compassionate response to the attack – focused first and foremost on the victims. She called for countries across the globe to fight against racism. Her government banned semi-automatic weapons and assault rifles within a week, got Facebook to remove all footage of the attack and urged the media not to identify the attacker to give him the notoriety he seeks. South Africa also has a leader with the ability to inspire his countrymen and women with great oratory skills. "Now is the time to lend a hand. Now is the time for each of us to say 'send me'," President Cyril Ramaphosa ended off his first State of the Nation Address in 2018. "Thuma mina" became the clarion call of his presidency. But two lessons must be taken from the Bush and Ardern scenarios. The first is that a little bit of empathy goes a long way. South Africans are fatigued by headlines screaming corruption, crime and increased petrol prices. We are tired of our lives being disrupted because our government is too inept to run a power supplier, leaving us without electricity. We want our president and our government to demonstrate that they understand and that they are with us. Making hollow promises of a better tomorrow because you want to win an election is not it. Secondly, words are meaningless when they are backed by the wrong actions and reality has long struck for Ramaphosa. The ANC's election lists have showed South Africans the president's hand and it doesn't look good. There's no point in pontificating a new dawn if the old problems are sitting next to you in Cabinet. Good leadership is not the exertion of power and big shows of strength. It's understanding the needs of your people and knowing when to be bold and when to apply a softer touch. It's about serving the people who elected you with humility and gratitude. It's about time we saw that in our own leaders. - Janse van Rensburg is News24's opinions editor.